The Massachusetts softball team entered Sunday’s contest against George Washington one win away from several achievements. With a victory, the Minutewomen (19-21, 11-5 Atlantic 10). 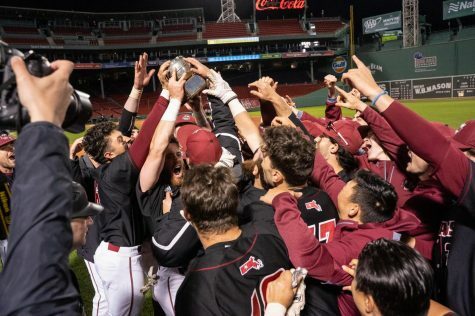 would earn their first series sweep of the season, their winning streak longest streak (six games) and UMass coach Kristi Stefanoni’s 50th career win. 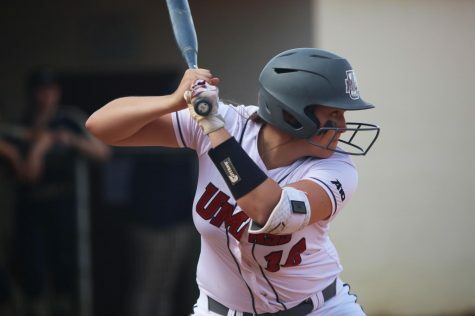 The Minutewomen achieved all three after defeating George Washington 4-2 in the final game of their weekend series in Washington, D.C.
UMass once again relied on the hot bat of Tara Klee, who went 2-for-3 with a two-run home run and a single. Klee’s homer was her sixth of the year, taking Colonials (21-23, 8-9 A-10) pitcher Sarah Costlow deep in the third inning. Klee not only hit .444, but finished with two home runs along with four RBIs and a pair of runs scored over the weekend. The biggest milestone, however, was Stefanoni’s 50th win. 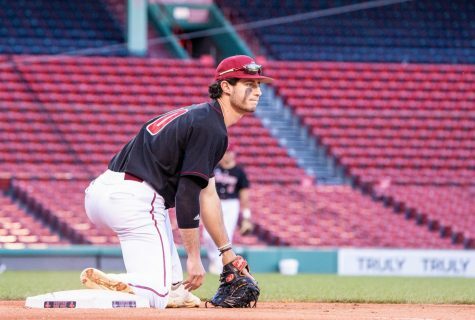 Game two was an offensive show for UMass, as it rolled over the Colonials in a dominating 9-1 victory in five innings. The Minutewomen hit four home runs in the victory, two off the scorching hot bat of Jena Cozza for her seventh and eighth of the season. The other two came off the bats of Klee, her fifth of the season, and senior Olivia Godin, the first of her career with UMass. Taylor Carbone got the start for the Minutewomen and would get the win, allowing one run and striking out two in 4 and a third innings. 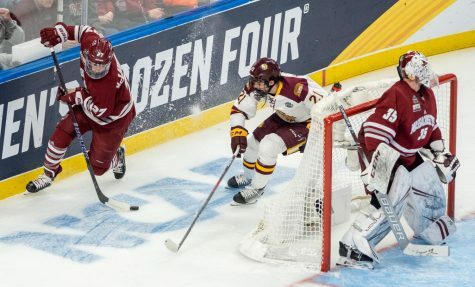 Stefanoni praised her team’s performance in game two, acknowledging the team’s complete effort. Despite being out-hit 5-4, the Minutewomen scrapped together just enough to escape with a 2-0 victory in game one. GW never posed much of a threat in the game as the most hits it got in an inning was two, with UMass starter Megan Colleran earning the win. Colleran threw seven strong innings, giving up five hits and tying her career-high with eight strikeouts. 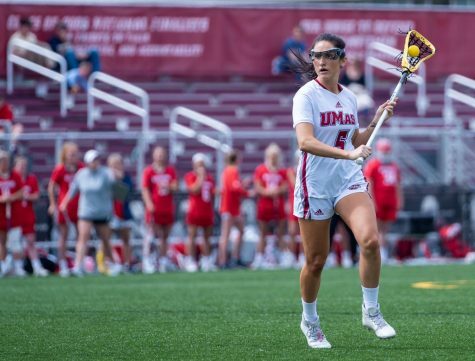 After a mid-week game against Boston University was cancelled, the Minutewomen will be back in action this Friday, when they take on La Salle in Philadelphia.